M. Asam Resveratrol Premium Youth Serum NT50 3.38 oz. M. Asam Collagen Boost Serum 3.38 fl. oz. A luxurious age-defying serum with resveratrol, paracress extract, Vitamin E and other key ingredients that helps skin fight against free radical aggressors. Helps improve the appearance of skin firmness, with an overall improvement in the look of the skin's complexion. Helps skin look brighter, moisturized and supple, for younger-looking skin. Helps reduce the appearance of fine lines and wrinkles for visibly smoother-looking skin. 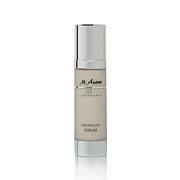 M. Asam has worldwide exclusivity on the NT 50 Technology combined with Resveratrol. The NT50 technology is an encapsulated Resveratrol combined with a peptide that has time release properties and helps deliver luxurious ingredients to the skin. 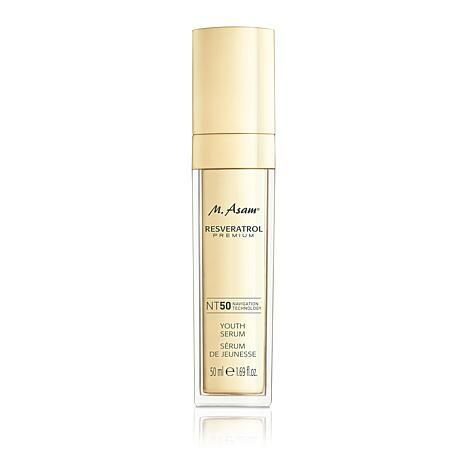 This state-of-the-art serum contains the latest technology in skincare. 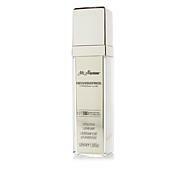 Apply this face serum in the morning and evening onto your cleansed face and gently massage in. Ingredients: Aqua (Water), Pentylene Glycol, Dicaprylyl Ether, Vitis Vinifera (Grape) Seed Oil, Glycerin, Sodium Stearoyl Glutamate, Glyceryl Stearate Citrate, Prunus Armeniaca (Apricot) Kernel Oil, Squalane, Caprylic/Capric Triglyceride, Butylene Glycol, Butyrospermum Parkii (Shea) Butter, Hydrogenated Vegetable Oil, Cetearyl Alcohol, Vitis Vinifera (Grape) Vine Extract, Vitis Vinifera (Grape) Seed Extract, Spilanthes Acmella Flower Extract, Argania Spinosa Kernel Oil, Inulin, Heptapeptide-15 Palmitate, Tocopheryl Acetate, Panthenol, Tocopherol, Lactic Acid, Glycine Soja (Soybean) Oil, Parfum (Fragrance), Sodium Polyacrylate, Xanthan Gum, Glyceryl Undecylenate, Ethylhexylglycerin, Sodium Dehydroacetate, Sodium Phytate, Alcohol, Glycolic Acid, Polyvinyl Alcohol, Citric Acid, Linalool, Citronellol, Limonene, Butylphenyl Methylpropional, Alpha-Isomethyl Ionone, Phenoxyethanol. I am pleased with this serum. It penetrates the skin immediately and is not greasy. Leaves my face glowing and is helping with fine lines. I can also use it around the eyes and it does not make them water. I love M. Asam's products. I've been using this along with the day & night cream in the mornings & at night for ONLY 4 days. I've already noticed a difference in my skin . It's smoother, the lines & crows feet at my eye corners are practically unnoticeable. I am 76 years old & really did not believe that the ravages of old age could be corrected, BUT I was completely & totally WRONG! This & the night cream are miracle workers. I also ordered the Ampules & cannot wait to begin using them.Ladies DO NOT WAIT;order these NOW! This serum is THE BEST I've ever used! I've tried a lot of different brands out there, but this serum is just splendid! It healed my dry, peeling face....it's soothing, it's substantial.... A little goes a long way too. I use the resveratrol cream too, that is outstanding as well.....I noticed after only three days of using these two products, my nasolabial folds actually looked diminished..... Now that's a rare positive outcome from just topical creams. I'll stick with line forever.